Having lived and worked in Singapore for almost 17 years with my husband and two boys, we have scouted around routinely for a better home. The yearly haze and its distance from Europe (We are Irish) have been my two pet peeves regarding Singapore despite having an extraordinary standard of living here. Dubai and Monaco have been on the radar for their tax advantages and for the quality of life they could provide but they both have disadvantages such as cost of living in the case of Monaco and weather in the case of Dubai. Andorra has recently grabbed my attention and it seem to tick all the boxes. It is definitely worth a second or third look! There are two types of residency available to foreigners in Andorra – Passive Residency and Active Residency. Passive residency is relatively straight forward to get and only requires that you be resident in Andorra for 90 Days/ year. This residency does not allow you to work though and if you want to gain employment you will need active residency which is more stringent to get. A bond of €10,000 is required for children to gain residency. There are numerous agencies in Andorra which will help you with the residency application but be sure to get one that will provide a translator in case an interview is required which will most definitely be in Catalan. Andorra is tax free for both the individual and corporations which makes it a very attractive place to live and work. There are no capital gains taxes, no inheritance or wealth taxes. There are minimal local property taxes of approximately 0.05% per year. Sales tax is also very low at 4%. Andorra is considered relatively cheap compared to other tax advantageous countries like Dubai and Monaco. According to Expatistan Cost of Living Index, Andorra is 37% cheaper to live in when compared to Singapore. In particular housing and transportation costs are significantly lower in Andorra. This may the most enticing factor coming from Singapore. Having our kids attend international school here is outrageously expensive approximating S$30,000 (€19,600) per child per year. There are many local schools in Andorra (French, Spanish & Andorran) that are free of charge. There is one international school in Andorra (Col.legi Internacional Del Pirineu) which teaches most subjects through English. The approximate registration fee is 750€ and 670€ per month thereafter (€8790) annually which would result in significant savings for two children. With small children, safety is paramount for me. 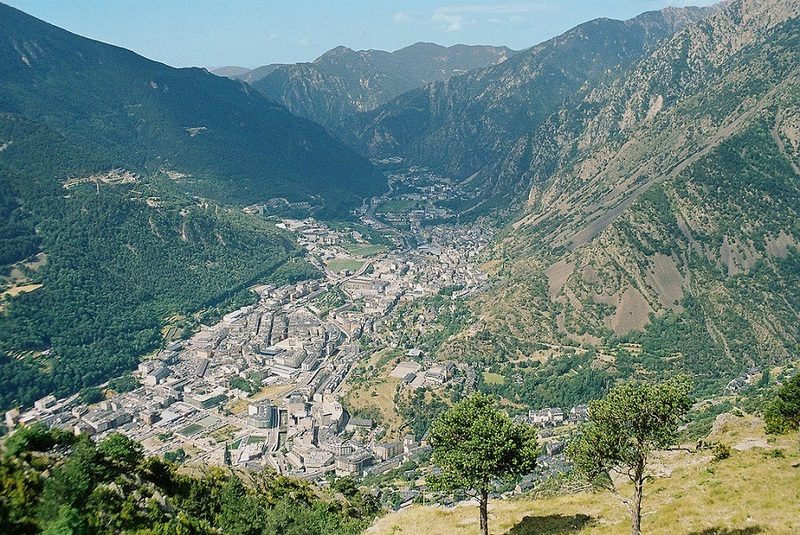 Andorra has one of the lowest crime rates in the world. Numero rates it 100% safe to walk about in Andorra during the day and during the night which is even better than Singapore. Famous for its ski slopes and mountaineering lifestyle, this won’t swing it for me. I am not a huge fan of cold weather. I prefer the hot climate of Singapore but would rather less humidity! Andorra seems to enjoy the best of both worlds and the weather in summer is warm and humid (9-26°C) and the winters are mild and dry (1-10°C). This mild weather allows an outside lifestyle for much of the year which is an attractive prospective with two very active boys to entertain. Another attraction for me is its proximity to the rest of Europe. Spain and France are on our doorstep and our beloved Ireland is just a short 2 hour flight away.